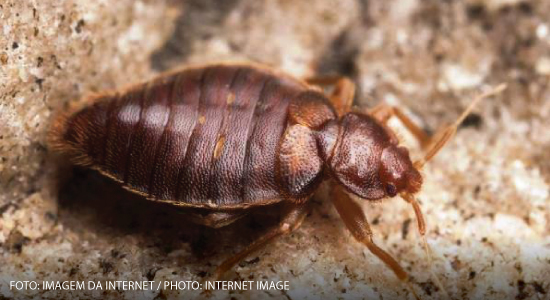 Bed bugs have accompanied and disturbed mankind for thousands of years, probably since our ancestors sheltered in caves, shared with bats and birds. It is very difficult to find exact numbers about the epidemic, but it is a serious issue and reaches the whole world. And, unlike common beliefs, these arthropods are not exclusive to prisons, slums and favelas. Since they are very versatile, infestations also take place in luxury hotels, theaters, cinemas, public transportation as buses, trains, subways, besides cruises and airplanes. Professor at the Microbiology, Immunology and Parasitology Department at Santa Catarina Federal University (UFSC), Dr. Carlos Brisola Marcondes, explains that bed bugs (Cimex lectularius and C. hemipterus) are little known in Brazil and other countries in Latin America. He is emphatic in saying that these arthropods should receive more attention in our country. 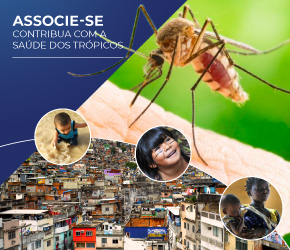 “When you realize that most of the reports in Brazil are concentrated in Rio de Janeiro and São Paulo and in Australia, where the great researcher Dr. S. Doggert and his colleagues are very dedicated to the subject, the lack of dedication to the research becomes evident. 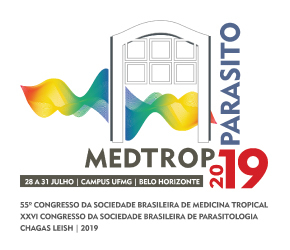 The records of a given parasite, vector or disease do not always express their real geographical distribution or prevalence, but instead, the number of specialists working in the region”, he points out. Their presence and annoyance in cold and more developed countries led to studies and efforts, mostly, irrelevant for their control. Although hygienic habits have evolved over time, urbanization, which grows at a very fast pace, with large crowds of people in the cities, where there are many houses, compose the conditions for them to feel protected by mild temperatures, what eases reproduction. In addition to these factors, there are no concerns to the conditions to avoid bed bugs. To Dr. Brisola, the problem is that people only worry when the outbreaks begin, failing in prevention. The professor thinks the bed bug is probably a problem in Brazil. However, since they are not involved in the transmission of any relevant pathogens, only causing nuisance and skin lesions, which lead to insomnia and irritation, they do not call attention of the population, researchers and authorities. “Bed bugs should be given more attention in order to avoid bigger problems. It is also necessary to promote and encourage scientific research”, he says. Dr. Brisola Marcondes reminds a quotation by professor Pedro Marcos Linardi: “a creature has no importance on a month and becomes important the next”. Bed bugs are most commonly found in hotels in the USA, Australia and some European countries. In Brazil, the increase in the number of travels to these destinations is one of the factors for its appearance, since many tourists bring unnoticed, the bed bug or the egg in their suitcases. With the global resurgence of the arthropod, the scientific paper entitled “Bed bug aggregation on dirty laundry: the mechanism for passive dispersal“, by the environmentalist Willian Hentley, has shown that dirty laundry is twice as likely to attract bedbugs than clean clothes. This was the first practical test on dissemination methods. Among the 100+ species, two Cimex species are commonly associated to humans, one being more adapted to temperate climates and the other to warm places. Several other species attack birds and bats, eventually causing losses and having already been found with arboviruses. The Biological Institute has, since 2012, a website with information and a form to be voluntarily submitted for cases of this pest in Brazil.